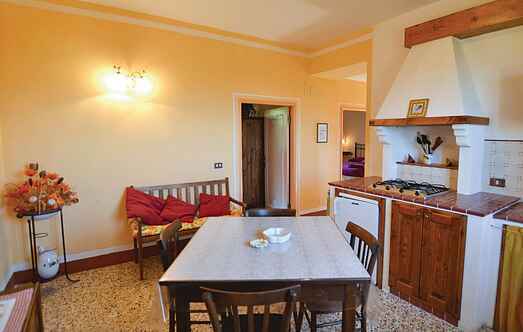 Choose from a selection of 9 holiday rentals in Seggiano. Use the search form to the left to filter the results and pick your choice of self catering accommodation in Seggiano. We have a good selection of holiday apartments in Seggiano perfect for family, single, romantic and group holidays. You may prefer to take a look at our listed holiday villas in Seggiano or holiday apartments in Seggiano. Find your holiday homes by a specific type using the property type drop down in the filter. Filter the holiday homes in Seggiano by a specific area using the area list above. These two nice apartments are located in a former farmhouse set on the slopes of Monte Amiata, at 750m altitude, between Castel del Piano and Seggiano. Immersed in the countryside, on the Grosseto side of Monte Amiata, this delightful Tuscan-style holiday home surrounded by a large non-fenced park. This romantic stone house is set on a quiet hillside and is located only 3 km from Castel del Piano. Comfortable country cottage (duplex; one part empty) on the hillside of the Monte Amiata, in private panoramic location and surrounded by vineyards and olive trees. Typical little Italian property in the middle of fruit trees.